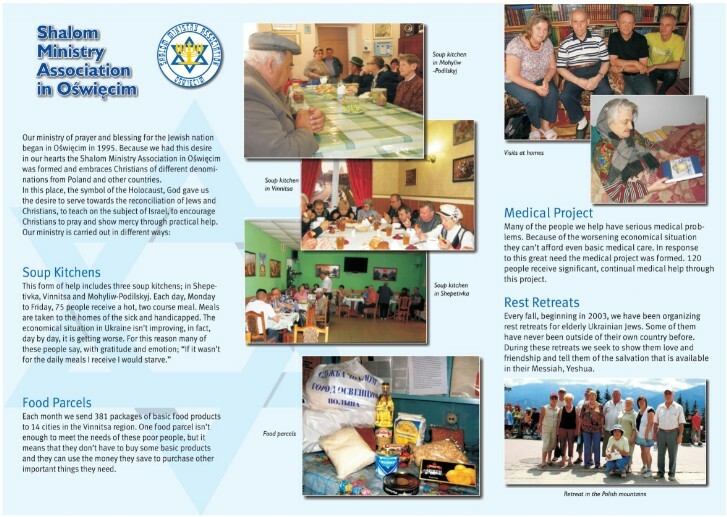 The ministry of blessing and prayer for the Jewish Nation began in Oswiecim in 1995, when the Lord laid on the hearts of two brothers the desire to pray for Israel and bless her in a practical way. The same year regular prayer started at the site of the former Nazi concentration camp Auschwitz - Birkenau. The issue began to be raised of how we could be a blessing to Israel in a practical way, particularly from here, from Oswiecim. 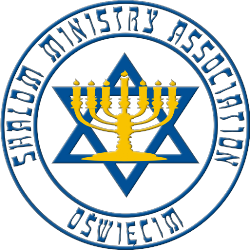 Out of this desire, Shalom Ministry was formed in 1998 now registered under the name of Shalom Ministry Association in Oswiecim. It embraces Christians of different denominations from Poland and other countries. It is here in Oświecim in the place that has been raised to be the symbol of Holocaust, that God laid it on our hearts to work for reconciliation between Christians and Jews, to teach about Israel, to encourage Christians for intercessory prayer for Israel and show the Jews mercy by providing them with practical help. There are many projects which have been organized by Shalom Ministry Association over the years and which we continue to carry out until now.